Matthew graduated from the University of Melbourne in 1995, and has worked in Ballarat since this time. His long term commitment to the region has seen him work in acute public care at the Base Hospital and St.John of God Hospital along with Private Practice work prior to opening MCPhysio in 2001. His goal to provide the region’s people with a high quality, professional and friendly Physiotherapy service has driven him for his whole career. Matthew has a passion for seeing all people achieve their best in the sporting world and general lives. With his involvements in sports and community groups, he has a strong understanding of what people are striving for, and is committed to his role as a physio to help people minimise the effect of injury and surgery on their endeavours. Matthew has a special interest in post-operative care and rehabilitation for patients recovering from surgeries such as: ACL reconstruction, knee arthroscopes, shoulder reconstruction, cuff repairs, joint replacements and ankle surgeries. He has worked closely with local orthopaedic surgeons for 18 years and understands the specific needs of patients in every phase of their recovery. Matthew has also spent a large part of his work providing Physiotherapy for sports injuries, neck and back injuries and presenting preventative programs. He is a member of the Australian Physiotherapy Association and been active on a local level with the Regional Group of the APA. He continues to play an active role in education, participating in, and lecturing for the local GP education program. His passion for community education results in him presenting to various sporting groups, along with his regular interview on 3BA on Tuesday mornings. 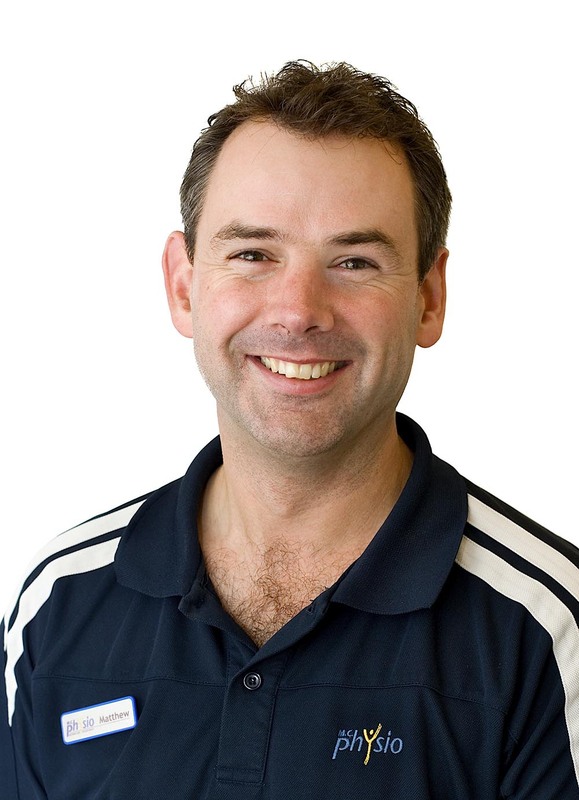 Matthew has spent countless hours providing physio for local sporting groups including 8 years with Redan Football Club, 8 years at Ballarat Football Club, Mt. Clear Cricket Club, Ballarat Country Week cricket squad, Ballarat High School, Vic Country U/18 Basketball, Netball events, Cycle events and various others. Matthew continues to be involved in the local sporting world, playing cricket for Mt.Clear. Matthew has developed an interest in Occupational physiotherapy and provides on-site care for Central Highlands Water and Selkirk Bricks, being involved in injury prevention in workplaces and working closely with Occupation Health and Safety teams. Outside of work Matthew enjoys spending time with his wife and two kids, playing cricket, bushwalking, barracking for the Cats, listening to music, writing and reading.